A beautiful union of structural glass and timber. 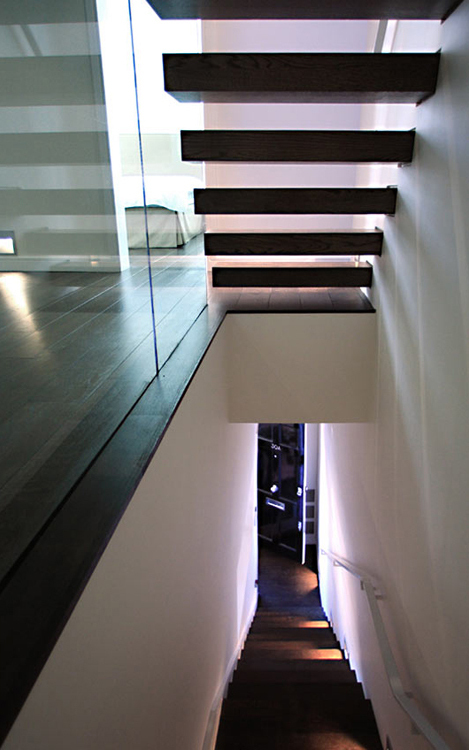 This staircase was carefully detailed and coordinated to achieve dramatic effect. 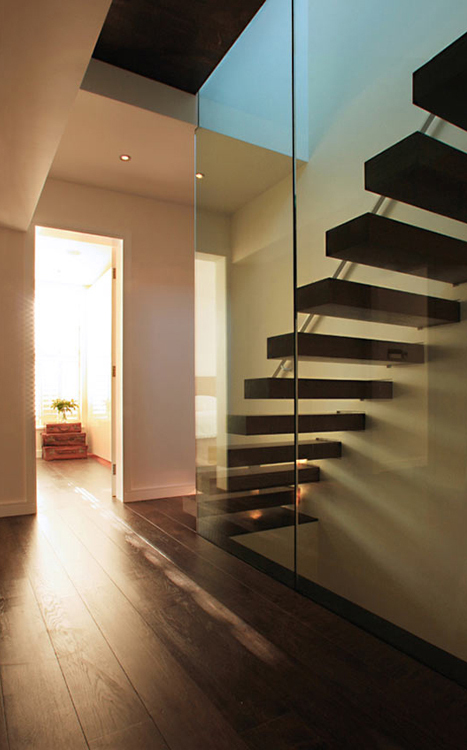 The full height glass panel sweeps past the cantilever stair treads, providing a protective barrier, and is connected to the landing above for lateral restraint. 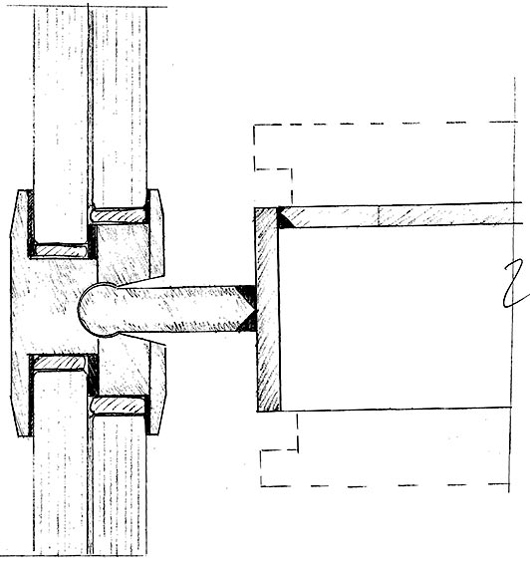 Opposite is a sketch of the structural detail indicating the landing connection to the glass wall panel. The landing is supported onto the glass by these fixings, and in return the glass is restrained laterally by the landing. This restraint enables the glass panels to cantilever vertically past the landing to form a balustrade. 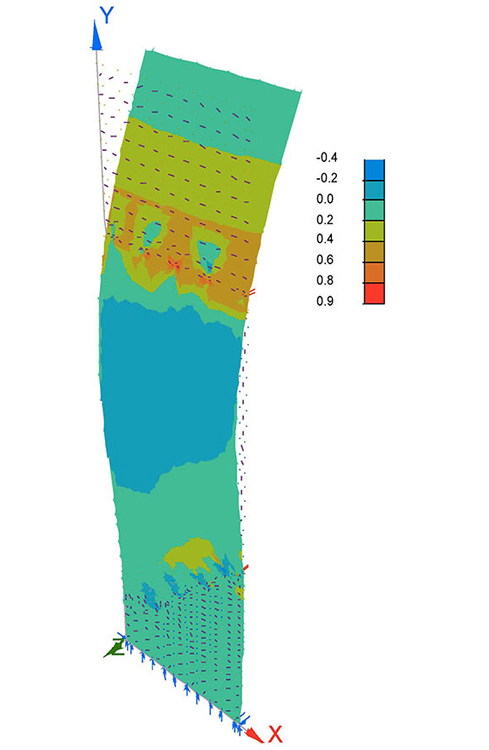 Each glass sheet was analysed using finite element modelling.This model enabled accurate calculation of stress concentrations and considered the non-linear effects of vertical loading on the deflected glass sheets. 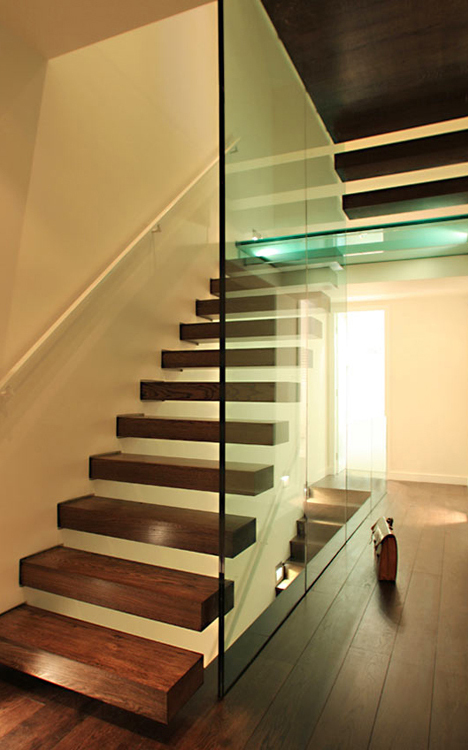 The glass half landing is laminated with a toughened and laminated glass beam on the leading edge. We love a challenge and relish the opportunity to make what may appear impossible into reality.